Day by Day - NEW! Start the New Year by walking side by side with believers who have been persecuted for their faith. This unique devotional features more than 25 spiritual leaders from around the world who share not only their story, but their inspiration. Sign up to receive the Day by Day devotional. Pray for Emanuel Masih to be released from his prison sentence and be able to permanently return home to his family. Pray that Masih will not be harmed any further by officer Draz or any other persecutors. Pray that Chakma will be able to find work and support his wife and son. Pray for those who have been persecuting Chakma for his conversion to Christianity. Pray that they will repent of their ways and have a personal encounter with God. Pray that the Day by Day devotional will provide new insight about our persecuted brothers and sisters throughout the world for those who sign up to receive it. This unique devotional features more than 25 spiritual leaders from around the world who have suffered for their faith. Sign up and receive a daily email and journey Day by Day with believers persecuted or imprisoned for their faith. Join the church in Indonesia in praying for a peaceful Christmas, both for the believers and their Muslim neighbors. Pray for the Indonesian churches that struggle to secure permits to build venues for worship services and other activities. Pray that the violence in Orissa state will cease this Christmas, paving a way for the peace of Jesus to prevail. Pray for the tens of thousands of believers who have been in hiding due to the attacks in Orissa. Pray that their fears will be replaced by hope. Pray for the thousands of Iraqi Christians who have been displaced from their homes. Pray for the gospel of peace to infiltrate the hearts of persecutors throughout the world. Pray for the 77 Acteal prisoners and their families who are awaiting the verdict on their appeal; pray for truth and justice during the review on Dec. 20 with the Supreme Court of Mexico. Pray for people to take action and fax the Mexican government on behalf of the Acteal prisoners. Pray for the Iraqi Christians who have been relocated. While it is extremely difficult to publicly celebrate Christmas in Iraq and other Muslim dominated countries, pray that Christians will be safe from violence this Christmas season. Praise God for the many letters received by Brother Ning in China! Please pray that the attacks in Egypt will cease and that this violence-prone area will become a place of peace and unity. Pray for Mina William, the Egyptian Christian boy who suffered the severe beating from Muslim attackers. Pray for a reversal of the new religion policy in Vietnam. Pray for the believers in the Bac Ha to stand strong in the face of persecution. Pray that Marias father, Abdurahman, will find a job and be able to provide for his family. KAN BANGLA, Pakistan (AFP)  The death toll from a powerful earthquake in southwest Pakistan could climb above 300, officials said Thursday, as rescuers struggled to deliver aid to desperate survivors. Multiple aftershocks continued to rock impoverished Baluchistan province, creating fresh fears among survivors who prepared to spend a second night in the open in sub-zero temperatures as the cold winter set in. Some travelled long distances on severely damaged roads to the provincial capital Quetta to plead for tents and emergency supplies as some villages still had not received help more than 36 hours after the quake. Pray for Saba Masih to have courage to speak the truth about her forced marriage to Amjad Ali. Pray for the Pakistani girls uncle, Raheel, who is receiving death threats for trying to get his niece Saba to be rightfully returned to her parents. Please unite with other believers around the world who will be praying on Sunday, Nov. 9, for persecuted Christians. Pray that many Christians will have the compassion to donate Bibles for persecuted children. Please continue to pray for Christians who currently live with the daily threat of violence in Orissa, India. Pray that the death of the parliamentary soldier in Orissa will be a wake-up call for the government to take sufficient action in protecting its people. Pray that the church leaders appeal in Iraq will draw upon the mercy of Prime Minister Nuri al-Maliki to step in and stop the attacks in Mosul. Pray for the Christians who are being equipped in Iraq by Open Doors and other NGOs. Please pray for the following brothers and sisters who are being persecuted for their faith. MALAYSIA | A court in Malaysia has denied a womans appeal to renounce Islam and convert to Christianity. Thirty-five-year-old Lim Yoke Khoon is expected to appeal to Malaysia's top civil court. NIGERIA | Blaming the death of their leader on Christian prayers, an Islamist group in the Kwara state capital has launched a new wave of violence against believers. Since June, at least three Christians have died and several others have been injured. Pray for the attacks against majority-Christian villages in the Phillipines to cease. Pray for the 500 Christians who live in Yantamma as minority Christians to remain strong in faith despite the governments efforts to dissuade them. Pray for Open Doors to successfully meet its goal of distributing 4,500 childrens Bibles before the end of the year. Thank God for the help that many Christians worldwide are able to receive through Open Doors and other organizations committed to strengthening Gods kingdom. Thank you for adding your name to the online petition asking the Chinese government to free Pastor Bike. Your voice was heard! Pastor Bike is FREE! On Friday, August 29, prominent Chinese house church leader Zhang Mingxuan, affectionately known as "Pastor Bike," his wife and a co-worker were released from Chinese custody. Pastor Bike was arrested along with his wife and co-worker August 6, two days before the Olympic Games began in Beijing. An outspoken evangelist, Pastor Bike has travelled on his bike to many places in China, handing out Christian literature and Bibles and preaching the gospel of Jesus Christ. Instead of being held at a prison or a detention center Pastor Bike and his wife, Xie Fenglan, and their co-worker were taken to resort hotels on a "forced vacation" designed to ensure that they couldnt talk to any foreign media. Pastor Bike was scheduled to do an interview with the BBC the day of his arrest. All three believers are in good health and spirits and praising God for their release, according to our co-laborers at China Aid Association. The detainees said during their confinement they had opportunities to witness to guards and even high-ranking government officials staying at the hotels where they were held. On August 26, The Voice of the Martyrs and China Aid Association launched an international online petition drive advocating for Pastor Bike, his wife and co-worker to be released. On September 4, China Aid Association delivered the petition  which had more than 57,000 names printed on 619 pages  addressed to Ambassador Zhou Wenzhong at the Embassy of the Peoples Republic of China in Washington, D.C. Included was a letter thanking the Chinese government for releasing these house-church Christians. We are thankful to you and the thousands of others who logged on and signed the petition. Christians in free nations often wonder if we can really make a practical difference for Christians in persecuted countries. Pastor Bikes release shows that WE CAN! Continue to pray for Pastor Bike, his wife and their co-worker and for other believers in China. Click here to make a financial contribution and/or view special products related to China. Miracles are taking place throughout the Islamic world. Muslims are coming to faith in Jesus through visions! During the holy days of Ramadan, September 1 30, as Muslims pray and fast, we need to pray that they will see the face of Jesus. Download resources to make your prayers more powerful with your church or small group. Pray for the orphaned children of the Chiapas family to be comforted and provided for by family and friends. Pray for believers within the Chiapas community to draw closer together in faith despite this recent attack. Please continue to pray for an end to the violence in Orissa, India. Praise God that we are able to use our civil liberty and email Indian Ambassador, Ronen Sen, on behalf of our brothers and sisters in India. Pray for Muslims who will be celebrating Ramadan throughout the month of September. For more information about Christians who are persecuted around the world, download this months Persecution Update. 1.] Please pray for pastor Sompong, his church , his family, and other young people who are imprisoned with him. 2.] 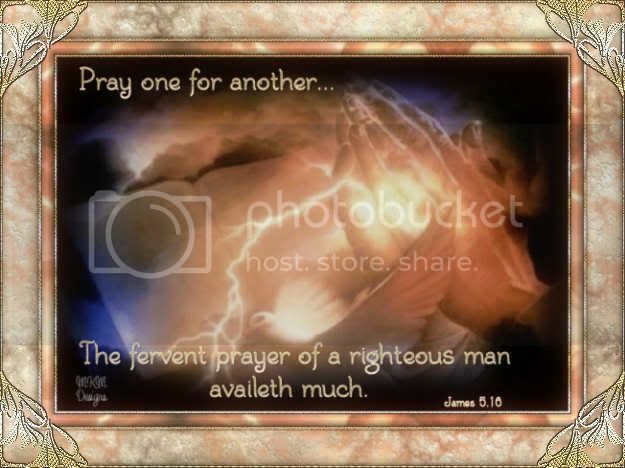 Pray that God's presence would be very real for with them in prison and that God would favor them with the jailers and the other inmates. 3.] Please pray that more people would be won to the Lord through the witness of the Boukan church and Pastor Sompang. 4.] Pray for the police and district officials who persecute these believers. Pray that their hearts would be softened by the witness of the believers. 5.] Please pray for Zhang Mingxuan, Xie Fenlang and co-pastor, Wu Jiang He in China. Pray that they would be able to return to their home soon. I see your kind reply and we feel very happy for your kind heart. my church believers and I pray for you and your health and also your job. Please pray for me and my ministry and also my believers in your prayers. God bless you. I am waiting for your prayerful reply. Since they refused to give up their belief 10 families were forced to leave their farms and homes. Please pray for them, as rural Lao families routinely live and subsist on their generational family farm. They usually have few other possessions and little or no other source of income. on HisSpace. Luden is a Messianic Jewish believer who has accepted Jesus into his life! PRAY FOR THE SAFETY OF CHRISTIANS I N THE CITY OF NINEVAH! EVEN READING THE NEWS I CAN NOT DETERMINE WHAT IS GOING ON, I HEAR ONE THING AND THEN THE OPPOSITE. YET IT IS REASONABLE THAT WE PRAY FOR THE SAFETY OF NINEVAH! THERE ARE MANY CHRISTIAN BROTHERS AND SISTERS WHO NEED OUR SUPPORT! AND PRAY FOR THE SAFETY OF CHRISTIANS ELSEWHERE IN IRAQ! PRAY THAT THE CHRISTIANS IN IRAQ WILL COME TOGETHER IN UNITY! PRAY THAT ALL PERSECUTION WILL COME TO AN END! PRAY THAT EXTREMISM WILL COME TO AN END! PRAY FOR THE HOMELESS! PRAY FOR THE DAY WHEN ALL CHRISTIANS WILL FEEL SAFE ENOUGH TO COME BACK TO IRAQ! PRAY THAT IRAQ WILL BE ABLE TO REBUILD WITHOUT FEAR OF BOMBS! Download the May 2008 Persecution Updateand join in prayer to bring hope and courage to persecuted Christians worldwide. This situation is very serious, and is changing every minute. Sudip was raised from the time he was 12 in an orphanage and God gave him a burden for children in the same situation. God has miraculously provided the means for all of the excellent work being done in His name and for His glory. It is this provision that Satan is attempting to use to destroy this work. The wife of a Maoist started this by seeing âstuffâ� in the orphanage and Anne Lise and Sudipâs private quarters (they are subject to search, and have no rights or any way to protect themselves) and becoming jealous. normal services the rest of the churches stoped services and others were burned. many women are affected now. the stuation is bad, for now we do everything at Bungoma. I have to rush to church now and family.